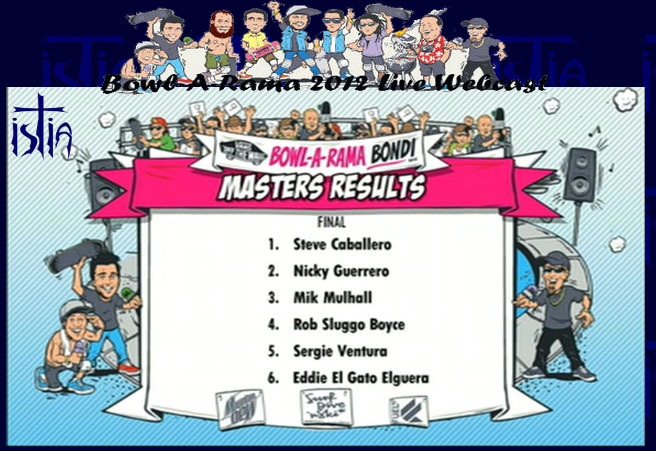 For the eight year in a row, the good folks from World Cup Skateboarding (WCS) and Bowl-A-Rama organized an amazing event at the Bondi Bowl, at 30mn away from Sydney, Australia. First started the Masters who were incredibly consistent: they know exactly what lines need to be done to win the Bondi contest. The only problem is that they all have been skating for more than 20 years and they all know what are the best lines so it’s so tough to judge that nobody want to be a judge for this type of contest. 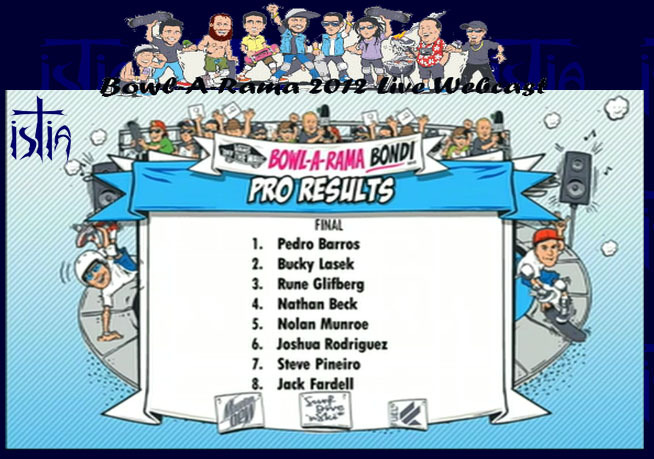 The styles, the lines, the tricks, all was there to make the Bondi Beach Bowl A Rama contest a must. Steven Pineiro. last time he came to Bondi he broke his wrist and could not participate. This time, he broke all records. Let’s start with Bob Sluggo who was doing backflip last week at Manly beach and for which he won the best trick. Bob Sluggo was very careful in his move and landed 4th. Mick Mulhall is a local from Bondi and was very consistently doing Madonnas, 50-50 to fakie in the round corner and 360 varials and finished 3rd. 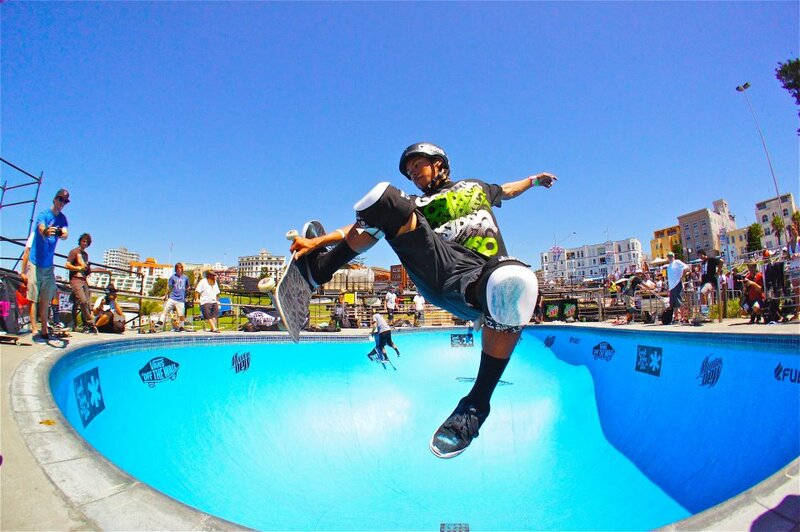 ..
Nicky Gerrero, from Denmark, had a smooth and fluent style, rippin’ every corner of the Bondi Bowl, rollin’ in in the shallow end, doing fastplants and layback for which he got the 2nd place. Steve caballero is a gentleman skateboarder and his 20 years carrying his own pro shoes with Vans are working like crazy into this Bowl. In one run, Cab starting straight into an invert and most of his tricks were back to back FS Invert, Boneless and finally landed #1 for the fifth consecutive year. Brazilian banger Pedro Barros once again proved that he is the man to beat when it comes to pro bowl skating. He pulled off a hat trick and sauntered away with another win on his resume and $16,000 in his pocket. Of course many tried to thwart the 16 year old's momentum. However, his high flying aerials were wickedly hard to beat. Consummate pros Bucky Lasek and Rune Glifberg came close. Lasek landed in 2nd and Glifberg rolled in at 3rd. Skater's Nathan Beck and Nolan Munroe finished off the Pro Division's top five. 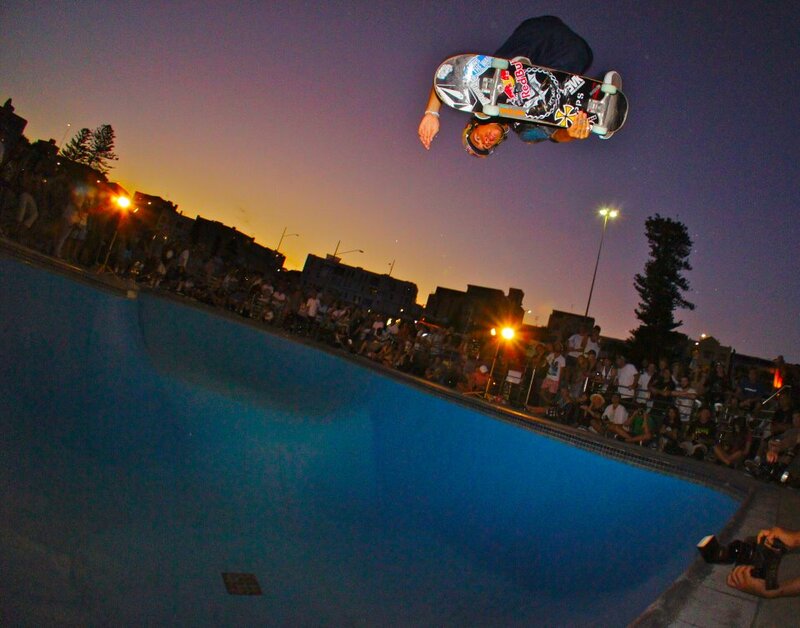 The next big World Cup of Skateboarding sanctioned event is the Oi Vert Jam. It is scheduled to take place March 1st through March 4th, 2012, at the Barra da Tijuca in Rio de Janeiro, Brazil. It is a pro event and features a $20,000 prize purse. Marcelo Bastos was the winner of last year's Oi Vert Jam. Thanks to Kim Andison and Dan Sparagna from World Cup Skateboarding (WCS) for the pictures.